What are your current printers costing you? Printing costs within an organization are a significant expense. They go beyond the cost of ink and paper. Energy, wear and tear, cleaning, need for replacement parts and lost employee productivity can add to the price over time. When choosing a printer for your business, you need one that’s dependable while keeping printing costs manageable. To do this, consider how you’ll use your printer. You don’t want to get stuck with printers that cost a fortune, but never get used to their potential. And you don’t want to invest in a printer that breaks down all the time because it just can’t seem to keep up. You also don’t want to have to end up buying extra printers of different models because your main printers don’t do what you need them to do. You can find the right balance if you simply ask some very important questions about your printer usage. Will You Be Cloud & Mobile Printing? 43% of the U.S. workforce now spend at least part of their day working remotely. If these are your employees, you need solutions that allow them to send their jobs to the printer from their computer or device through the network. Printers today can save jobs for output later. An employee can send the print job while they’re working on the document from a remote location. Then with an easy touch screen, they can then actually print it when they’re in the office. This eliminates the need for a co-worker to pick up the job or unattended print jobs sitting in the tray. It stops lost print jobs and the ensuing need to re-print. A print management service can help you maximize productivity and cut waste by making choosing a printer — the right printer — easy. Do You Regularly Print Thick Manuals or Large Mailings? If you’re doing large print jobs on the printer, you need a printer that can really take a beating. When a print deadline is breathing down your neck and you’re down to the wire, you need to know that this printer will be able to handle the pressure. Additionally, you need a low per page cost. 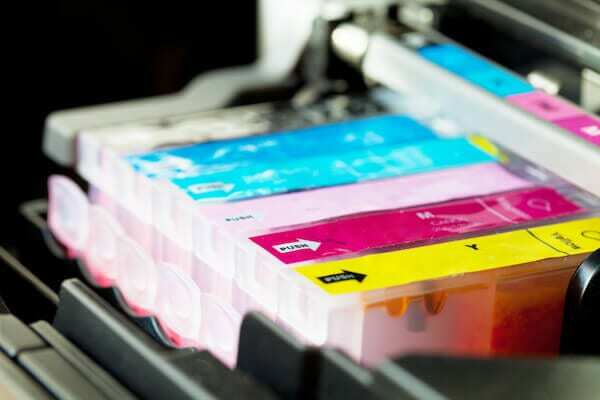 Unlike typical in-office printing, these kinds of print jobs are typically tied to specific marketing, human resources or educational budget within the organization. Because of this, being able to measure the real costs of printing are important to understand the ROI for a given project. A print management service helps you choose and maintain printers that can handle the big jobs. With a clearly labeled cost per page, you’ll always have a clear understanding of what each printing job costs. Do You Need High Quality Documents for Customer-Facing Materials? The quality of your prints reflects on the perception of your brand. When choosing a printer, consider your speed and quality needs. If you’re printing color, customer-facing documents, they must be perfect. When you’re dealing with multiple print sizes and printer functions, obtaining this flawlessness isn’t always easy. A print management service will be able to evaluate your speed and quality needs in order to provide solutions. Will Your Print Jobs Be Part of a Greater Document Management Network? Printing is really a very small piece of a greater IT solution. Having a system in place that fully integrates printing into your document management and IT framework will ensure seamless printing. A comprehensive print management service thinks beyond printing to provide innovative and integrative solutions that help you optimize everything. Do the Print Jobs Today Look Like Your Print Jobs of Tomorrow? It’s important to evaluate how you’re using your printer today to ensure that you get the right printers for the job. But what about tomorrow? Printing equipment is a large investment. You don’t want to have to re-research and invest within just a few short years. Real print solutions should grow with you. A print management service will provide solutions that don’t just solve problems today. They can adapt, expand and grow with your company. When you know the questions to ask about how you’ll use the printer, choosing a printer becomes an easier task. A print management service can help you evaluate your options and provide solutions that help you maximize productivity, reduce cost and optimize everything. To learn more, contact us today.